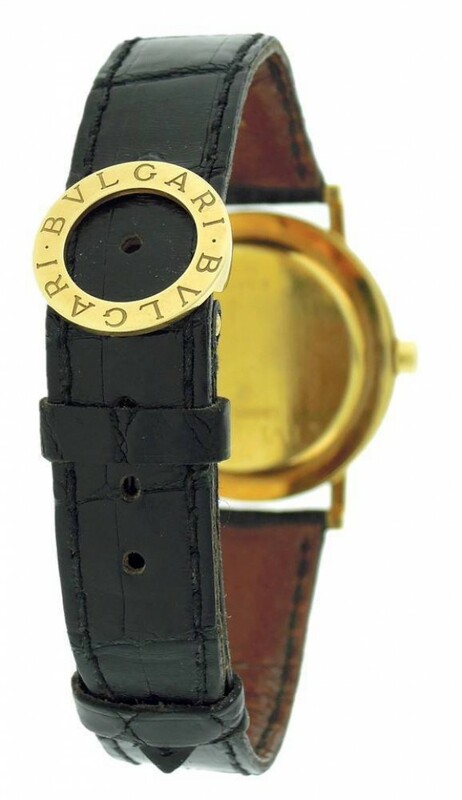 Own this beautiful Bvlgari Bulgari watch and enjoy its black Dial with Gold Hour Markings and Hands. 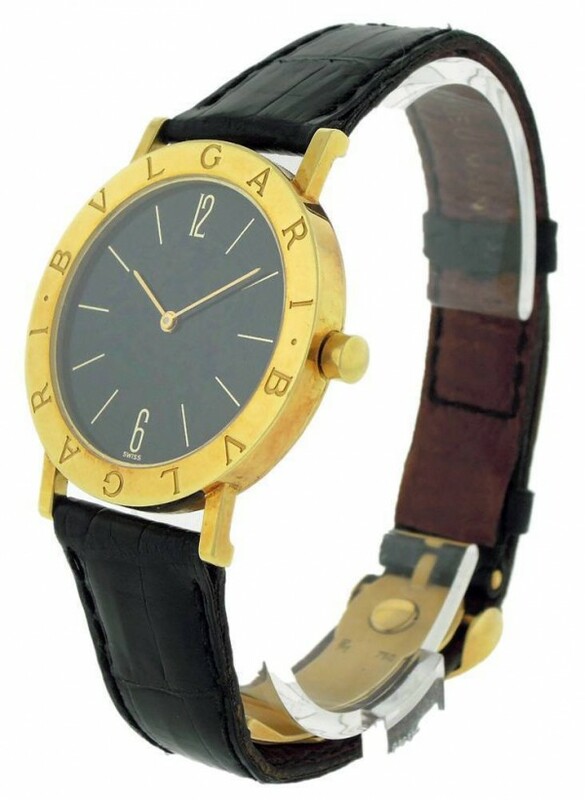 Watch is crafted out of 18K Yellow Gold case and Deployment Buckle, and black leather strap. Watch shows regular signs of usage and can also be polished upon buyers request. 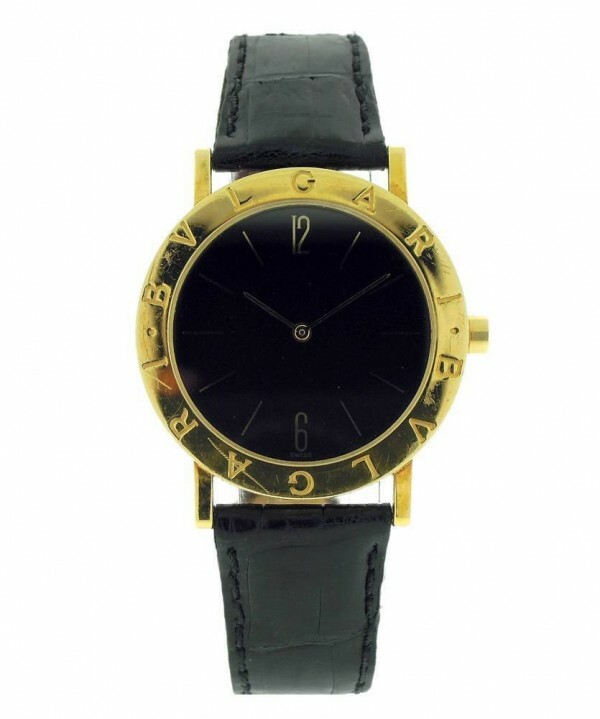 Wear it in great health.